Originally from Montana, Kelsey Corlett-Rivera graduated from Harvard University in 2005 with a B.A. in Romance Languages and Literature. While there, she spent time abroad in Chile, where she interned for an environmental education NGO, and in Italy, where she spent a semester at the Università degli Studi di Genova. After college, Kelsey worked as a project manager in the translation/interpretation industry, first at the U.S. Department of State and later with a private company. Since returning to graduate school in 2010, she has worked with the University of Maryland Libraries as the subject specialist for French, Italian, and German, and has now assumed responsibility for collections in Spanish, Portuguese, and Latin American Studies as the Librarian for the School of Languages, Literatures, and Cultures. Her husband is from El Salvador, where they travel frequently. 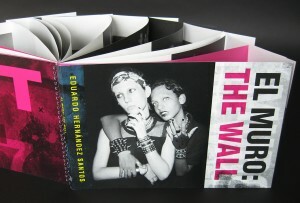 El muro, Eduardo Hernándos Santos' homage to the Cuban trans community. Red Trillium Press/ Aqui en la lucha is the work of new SALALM member, Steven Daiber, who is based in Massachusetts. Daiber has worked with books for more than twenty years. He has been to Cuba regularly since 2001 and has facilitated dialogue between Cuban and foreign artists. His books create real, metaphorical objects: palaces of the memory in which each element underscores a meaning. The artists Daiber represents and the books he creates in collaboration with Cuban artists tell stories of the lived reality in Cuba in the 21st century. 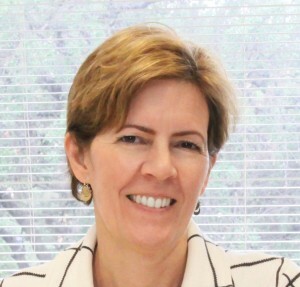 Since 2007, María R. Estorino has worked as the Deputy Chair of the Cuban Heritage Collection at the University of Miami Libraries, where she began her career in 2001 as archivist and project director on a digitization grant. She obtained degrees in history from Loyola University New Orleans and Northeastern University and an MSLS from Simmons College. Her professional interests include scholarly and academic programs in special collections, the documentation of underrepresented communities, Hispanic manuscript collections in U.S. repositories, and Latinos in the archival profession. She lives in Miami with her husband and two daughters. of digital resources and management of grant programs. Betsaida M. Reyes works as an Instructional Supports Associate at the University at Albany Main Library. She has worked at the University at Albany Library for the past three years in the Acquisition Division of Technical Services and Collection Development Department before working in the Cataloging Department in January of this year. Reyes holds a BA in English and Spanish as well as an MA in Hispanic Literature and Linguistics from the University at Albany. She will finish her MSIS in May of 2013. This fall, she will be working with Alison Hicks and the Communications Committee on a project regarding the SALALM website. Sara Rubinow is a recent MLIS graduate of Pratt Institute, which this spring awarded her a special scholarship to attend the 2012 ISKO (International Society of Knowledge Organization) conference in India, where she presented a paper on Linked Data that she co-authored. During her graduate program, Sara interned at the Bard Graduate Center Library, where she was responsible for the assessment and development of the Ibero-American collection, and also interned at the Jorge Luis Borges library of the Instituto Cervantes, where she engaged in both technical and public services. Sara serves on the planning committee for the Contemporary Artists’ Books Conference in New York City, and organized and moderated a popular session on Latin American artists’ books at the 2011 conference. Sara also holds a MA in Education from the University of Michigan and a BA in English from Oberlin College, and worked for ten years as an interactive art director prior to embarking on a career in information and library science.